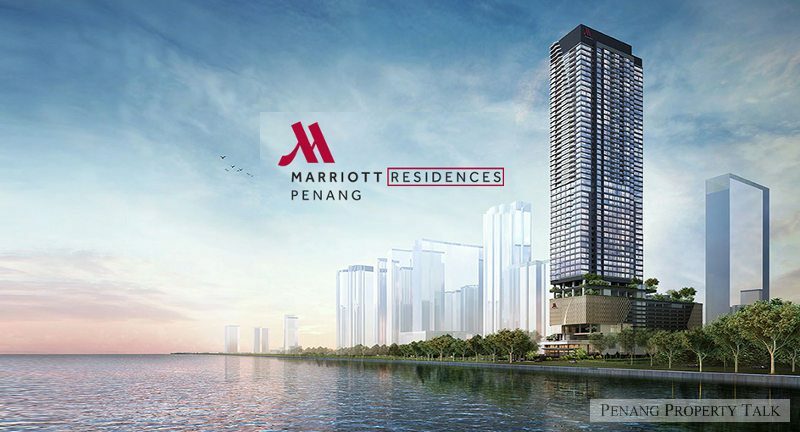 Marriott Residences, a mixed development by BSG Property in Georgetown in Penang. 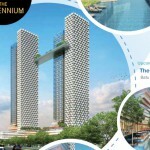 It is located between the famous tourist belt of Gurney Drive and Kelawai Road, next to Evergreen Laurel Hotel. It is kinda funny especially in Penang, there are many older people against modern developments. Perhap they are grumbling their golden time have lapsed and nostalgic about the good old time which they had never made use of ? Pls provide more information about this project. Thx. For the condo units, are they like service residences, managed by Marriott? Kindly peovide more details for the above vai mayjorwong02@yahoo.com Thanks. Yes, council approval obtained. Work will start soon. MBPP/OSC/PL462/16/100093-3 plan approved on 22Nov2016. 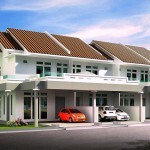 Developer : Taman Sri Bunga S/B & Branded Realty S/B. Number of hotel rooms and condos are as described in the above. After these rich people lobbied to state gov for the shutdown of illegal homestays downtown, they will then invest in building more hotel rooms. Big potential for Gurney Drive after the completion of Gurney Wharf. Any idea when launching? Pricing? Not so soon. 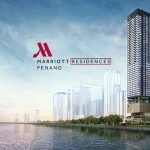 Their plan is to ink the agreement with marriot first, then create some hoo-haa, hype it up while secretly selling to friends and associates first, then hike up the price further before opening to suckers in general public (waterfish) at around RM2800psf. Well, Boon Siew and the gang are very good at that. Good Luck!! haha…2800psf? yao mou gao choh ah..
Its true so many people against development but it continues- pantai jerejak is ruined what else? Haha…. I like the way you penned your comment. Hilarious! And you are 100% correct. The developers feed on people like you who get too excited and show so much interest before the launch. That’s how their prices keep going up, waterfishes keep getting trapped in their net. Fully agreed, BSG–Blood Sucker Group. Their projects are good 10 years ago, but getting worse since then due to greed among their directors & associates. They still think Penang got plenty of water fishes by raising their price to RM1500-RM1800/sqf. All of their current projects are over priced: Middleton, Mira, Landmark, Raffel etc. I heard from colleague who have a very strong financial background, BSG already revealed this project to them. For rich people to stay or buy property like this, they got very good network between BSG also. Totally agreed – BSG is now a blood sucker group. Their great grand father the late Loh Boon Siew was a very great man with great vision and kind heart. But his great grand children are greedily profiteering from the great grand father’s land bank and most penangites do not see anything good from the newer generations. Well, the greed that runs amongst the associates is undeniable, but I think your personal attack is unwarranted. Dont gv negative comments if u not able to own one. For ppls got the financial to own 1 obviously they hv their own point of view and proven is more successful that YOU! Those not able to own 1 + huhahuha here and act like a property guru what the point? Living in ur own world or jealous? Overpriced? Currently maybe YES but after 3-4 years? After completion of gurney wharf? 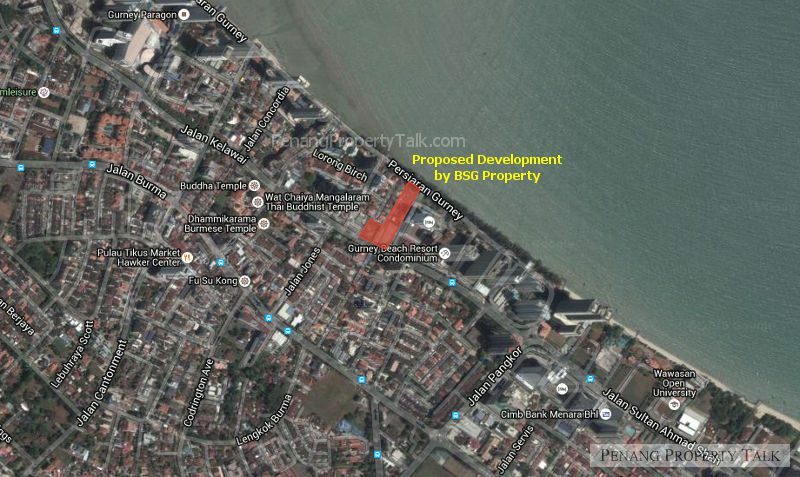 Last piece development land in gurney drive, u can’t find another 1 anymore. All d Bsg blood sucking director are not stupid instead very gud in marketing, so called “associate units” only open for certain floor/type/facing or view which is slightly not as gud as walk in purchaser units. Even if my next door paid cheaper that me so what? Ntg to be jealous or sad cuz im not as gud/capable/network compared to them, willing buyer willing seller simple theory. Can somebody tell me why is boon siew selling this so crazily expensive? 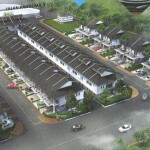 this is sardine project with 600++ units built on less than 2 acre of land. Are they out of their mind? convince Penang people why should we pay such a high price? Not only that, the density is what i concerned. For the fact that it is a hotel, and the land is so small, i wonder how the access gonna be like, also how they are going to do their car park. No way Mariott gonna do multilevel carpark for like 6-7 storey.. imagine when you go out everyday, the land itself is already narrow, will the access be congested? The hill-billies are concerned with the density. Hehehe. Just go back to your cave! Living in “Gurney Drive” is already exclusive enough. It’s like Manhattan New York, super dense, but exclusive. ANYONE KNOW WHAT KIND OF FACILITY THEY HAVE OTHER THAN SWIMMING POOL? Besides swimming pool. It also got a giant pond for water fish. Agree. 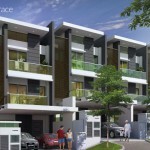 Everyone’s dream of owing a unit at such exclusive location in Gurney Drive. Definitely cater only for the rich. I’m just wondering how’s their Quality, Workmanship and finishing compared to other famous developer eg. Hunza or E&O. What?? How to compare Gurney Park vs Marriott? One is indian buffalo meat, the other is Wagyu. Although both serve the basic purpose of filling up your tummy, but when it comes to Wagyu, that means you’re just rich enough to be willing to throw away extra money just for the extra satisfaction and luxury. The problem with BSG is they kill their own market and reputation. They offer a lot of discount to certain group (close to them, etc). Its common in market but the discount BSG offer is huge compare what other developer offer to their friends and family and to quite MANY people. 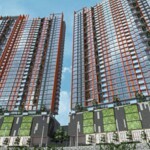 In Mira Residence, I heard many people (their friends n cronies) paid as low as less $600 psf. They sell to public like at least $800psf and more. Discount of abt 25%? E&O only gave us 5% discount for being second time buyer. Like said, of course discount is normal in every developer. But the huge discounts to many people is spoiling their own market. Now u can see Mira Residence after completion is not gaining any popularity or price increase. And rental is so low compared to E&O quayside, and it’s becoming hostel for UTAR College students. My relative bought there and complain big time to me. A million condo becoming hostels for uni students. I urge you guys to think twice before buying from this developer unless you are friends with them that can get huge discounts. Normal people, best is choose a better reputation developer. The students are very lucky, that they have all those waterfish who bought Mira. you are like comparing 20 years ago, one bowl of Hokkien Mee cost RM1, and 20 years later today Hokkien Mee becomes RM4 each. So do u mean that the hawker stall gave 75% discount to the customer who visited 20 years ago? i doubt if “discount” use in this way? or “APPRECIATION” of the property is a more accurate term? May I know who is the architect in charged for the Marriott Residences ? First time looking at Penang property price and I must say I still cant believe that it is already priced at RM1500-1800psf now. And it still has the potential to increase again in the future when the wharf development is completed. It could easily overtake the price in KL prime areas like Jln Ampang / KLCC area. phew. I better go back to KL man. hahahaha, who told u the above statement? Is it from the mouth of BSG sales person / property agents ? 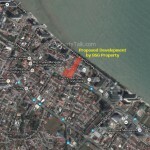 law :First time looking at Penang property price and I must say I still cant believe that it is already priced at RM1500-1800psf now. And it still has the potential to increase again in the future when the wharf development is completed. It could easily overtake the price in KL prime areas like Jln Ampang / KLCC area. phew. I better go back to KL man. Don’t get confused by this BSG pricing, this is just a black sheep. Generally Penang price is not that high. For RM700psf, you can easily get a condo in Tanjung Tokong, an enclave of expats just a few blocks away from Gurney Drive. Overpriced new properties in Gurney Drive are no longer a good investment as rentals are low, and the prestige is no longer there. There is so much that can be done to make Gurney Drive shine, but unfortunately the rocket state gov does not know ABC about town planning, and failed to enhance the strong Gurney brand that was already there, therefore did not manage to benefit local communities by capitalising on strong potential from foreign investment and tourism. Sad. marriott almost never build on property lah. always licence name to others who build and run themselves. 1800sf for Gurney Condo. Very cheap. How to register? There are 2 architects films in charge this projects. Arkitek Permata & SAA Architects Singapore.